Cheek by jowl with Glasnevin Cemetery, final resting place of the most famous figures in Irish history (among them, Messrs. O’ Connell, Collins and Parnell) John Kavanagh’s is more commonly known as ‘The Gravediggers’. Outside of the city, in the north Dublin suburb of Glasnevin, tourists can tag a trip on to the fancy award-winning museum in the cemetery to make the most of the trek (details at end of post). 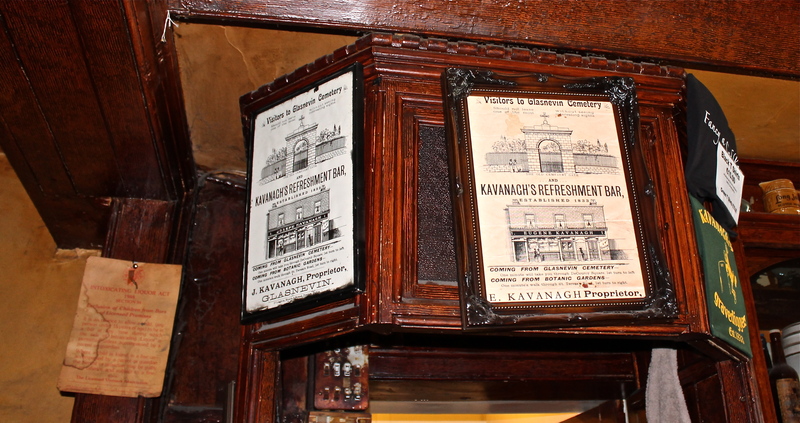 The pub has been in the Kavanagh family for six generations…of course it has. And thankfully it hasn’t changed much since they took up shop in 1833. 1833, which makes it…(hands up who’s been paying attention!) Victorian. 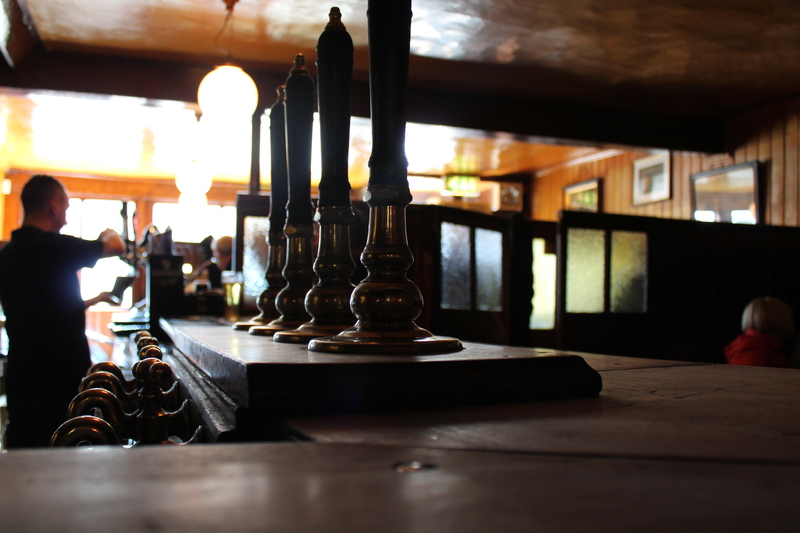 Very different from Ryan’s of Parkgate Street, (polished, bright and restored) and Kehoe’s, (a buzzing and bustling modern city pub), The Gravediggers is darker and grittier, and quite basic really. No bells, whistles or careful placement of antiques. Nothing to prove. I’d never been there before, though I’d heard of it of course. 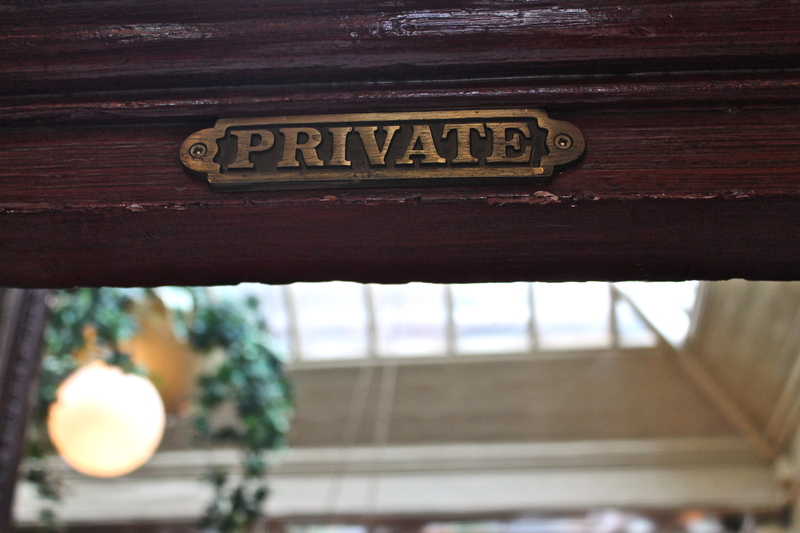 But walking through the swinging doors, I was taken aback—whoever it was who told me about this place didn’t do a very good job! HOW had I never been here before?! This has to be a filmset! Old-wordly and a bit haunting—in an exciting, ghost stories-by-the-fire sort of the way. Folklore and Lady Gregory’s fairytales, the banshee and barstool politics. I can’t put my finger on it. But there’s definitely a touch of the Pat McCabes about the place. 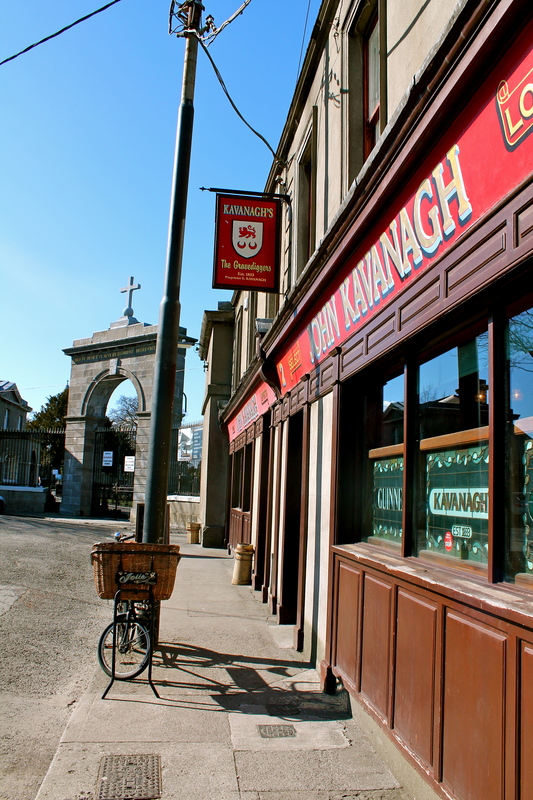 Kavanagh’s has also set the scene for a Smithwicks ad and more recently, the best looking boy in town, Gabriel Byrne, was here filming for Quirke, the BBC adaptaption of the John Banville ‘Benjamin Black’ novels. 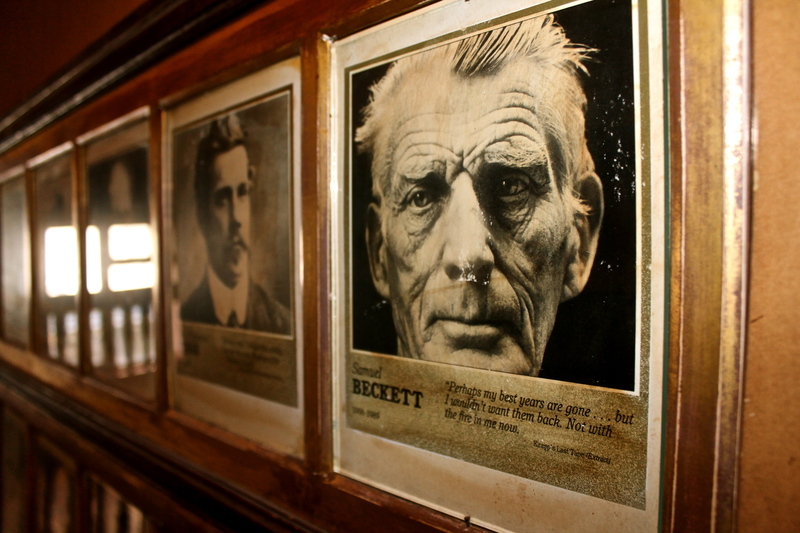 It’s no coincidence that a family running a business within a stone’s throw of Glasnevin Cemetery would have an acute sense of Irish culture, and the good judgement to preserve it. 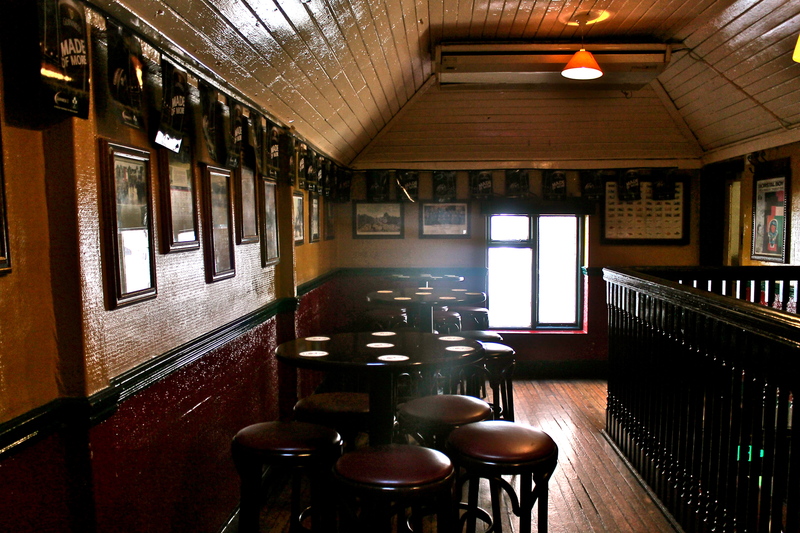 Not a television or radio in the place, the characteristically Dublin penchant for storytelling and talking ráiméis the only humming backdrop noise. 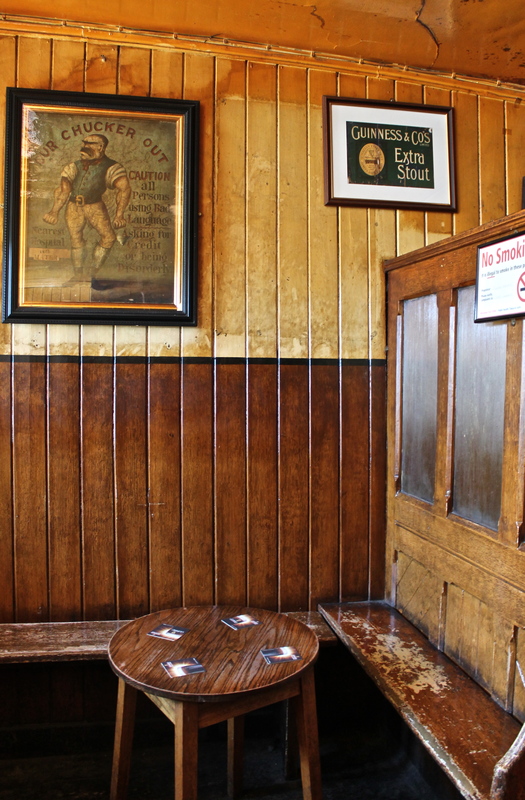 There was a lounge built on to the pub in 1980, quite a practical move given how small the pub is, and without interfering with the DNA or the structure of the old bar. Younger punters are catered for with twice-weekly tapas evenings, with bookings out the door. Missing lunch time, I didn’t eat here, but Ciarán Kavanagh, proprietor Eugene’s son, was pretty convincing when recommending the food. And having heard great things about it since, I’ll have to go back and right that wrong. 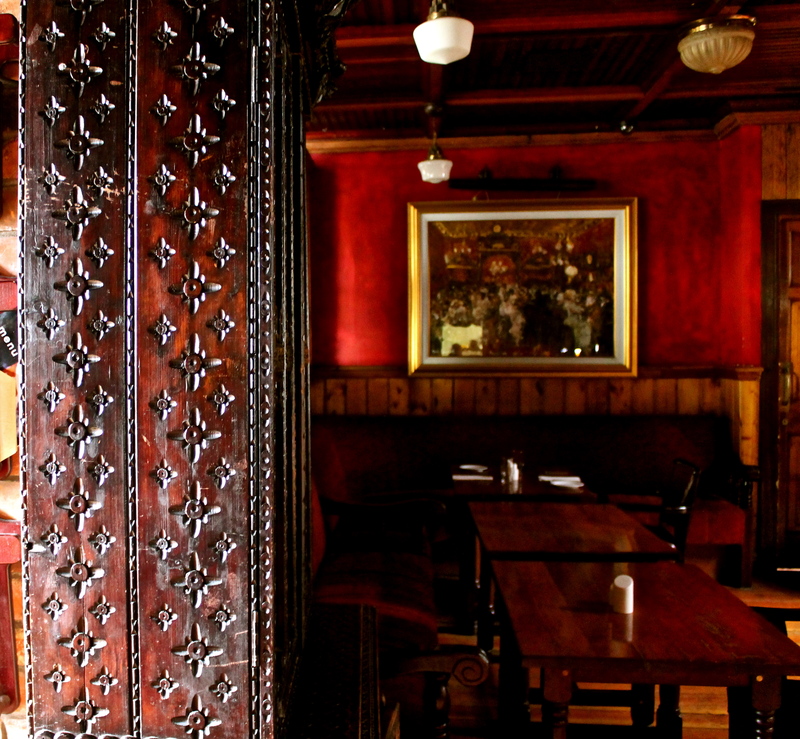 They do have a promising, well-thought out menu that includes the traditional Dublin ‘coddle’ – harking back to a ‘Strumpet City’ Dublin of yore that I can’t pretend I’m familiar with, or brave enough to try! It’s not often somewhere so close to home can surprise or lend a new perspective to your own back garden. Well worth the visit. And for the tourists, locals won’t thank me for sharing this secret with you. But they’d never tell you to your face. Don’t miss it. Cellar-like Whiskey and Cocktail bar. 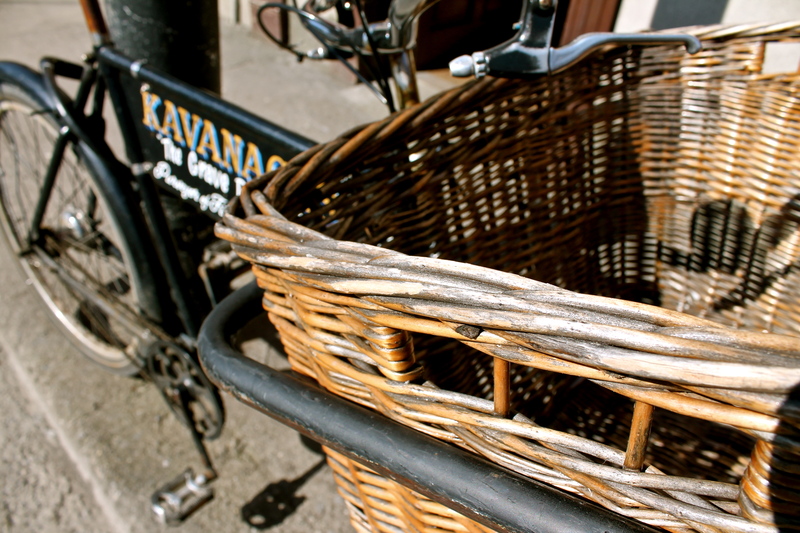 Okay, so you’re headed to Parkgate Street anyway, to check Ryan’s out (previous post). Stall the ball. (That’s Hiberno-English for “hold on”. We want to keep this authentic folks.) 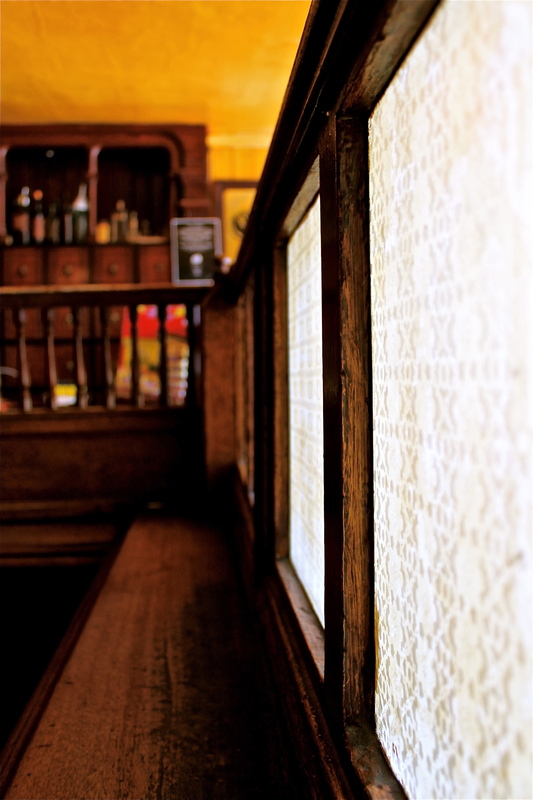 There’s a noteworthy neighbouring haunt here worth a visit: Nancy Hands. 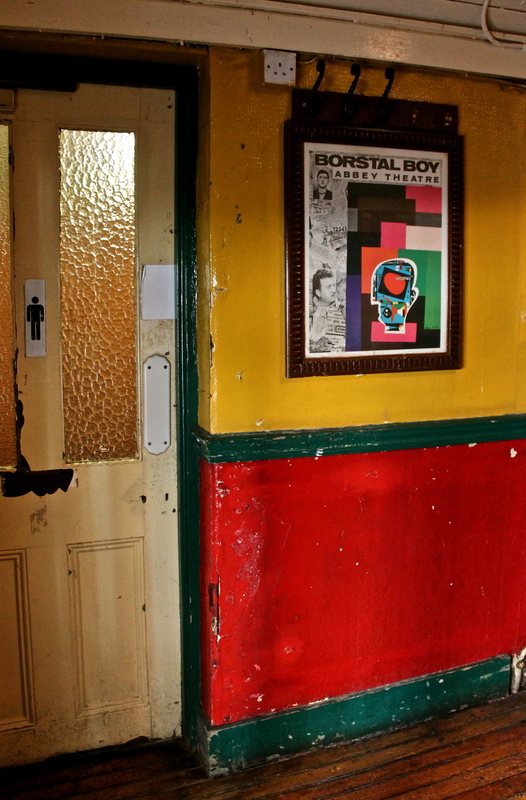 A much larger venue than its quaint Parkgate Street companion, and much younger in its current form – although refurbishments were in keeping with the original Victorian style. 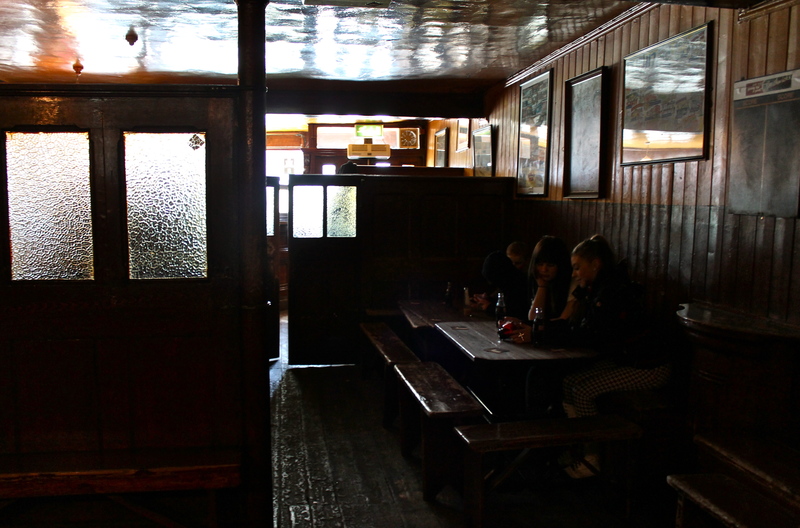 The beauty of Nancy Hands is that, despite the vast scale of the two-storey premises, it manages to keep that cosy, almost ‘country pub’ feel to it. 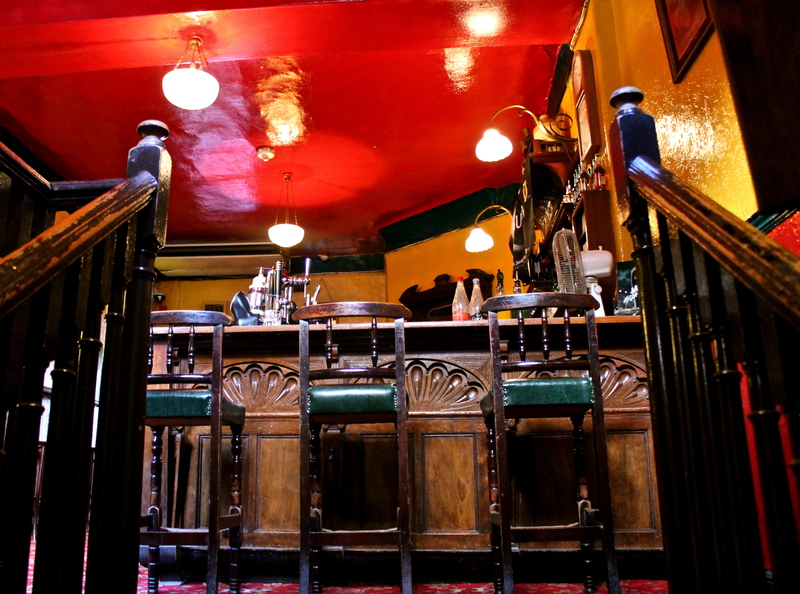 This is down to the division of the place into areas, the downstairs has three bars referred to as the Coffee Bar, the Whiskey and Cocktail Bar and The Snug Bar. 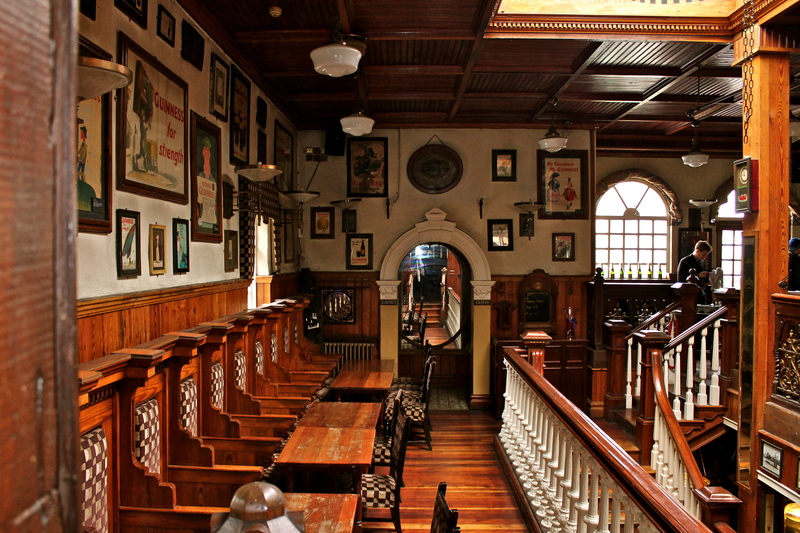 The restaurant and piano bar are on the second floor. ‘Coffee Bar’ undersells it a bit, it’s definitely not a coffee bar, and you don’t need to have lived in Italy to know that. Yes it serves coffee, but so do petrol stations, and I have my doubts over whether anyone comes here for that purpose. (And if you do, that’s your own fault really.) 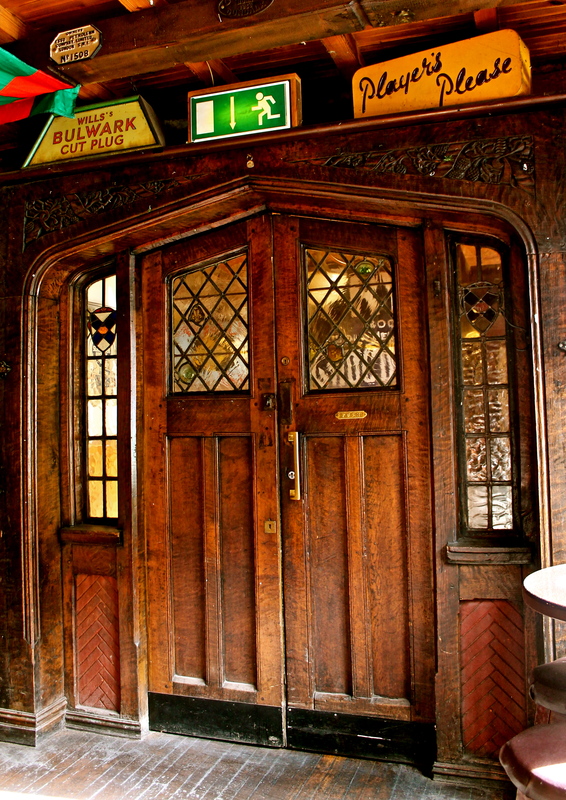 My mother, who grew up a few miles down the road from Nancy Hands, says she had “the best beef & Guinness stew of my life” here, and actually we’ve eaten in the bar and upstairs in the restaurant many times, I’ll happily endorse the food (fantastic steak). 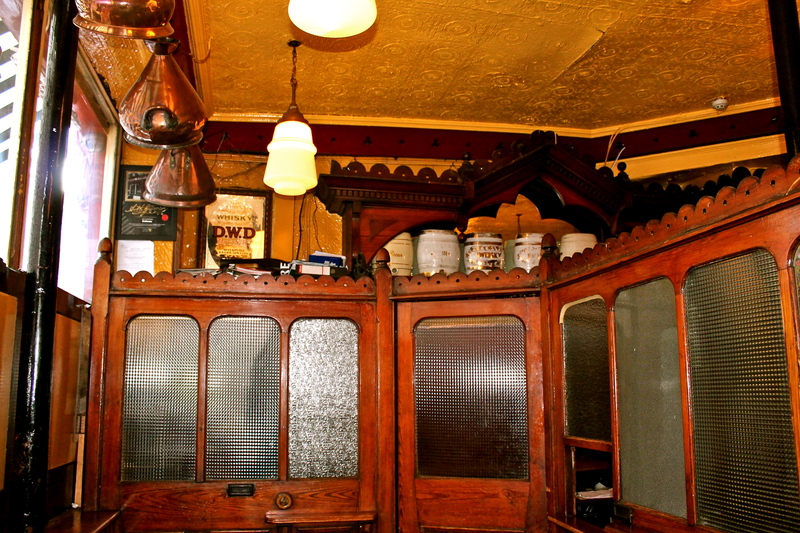 A small, casual area with average barstools and tables, what stands out here are the fabulous Victorian glass cabinets behind the bar, bought from a chemist when Nancy Hand’s current owners took over. 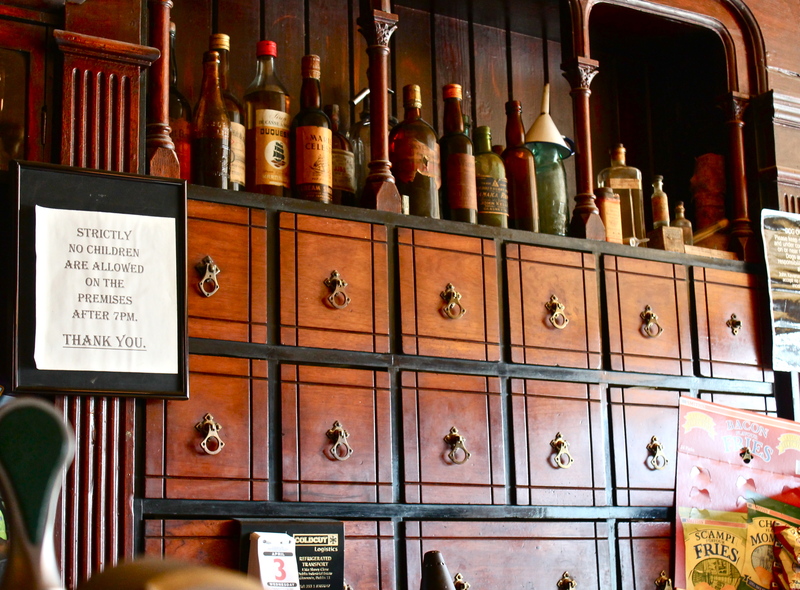 And they do lend a sort of apothecary feel to the bar, full of jars and glass vials and potion bottles. 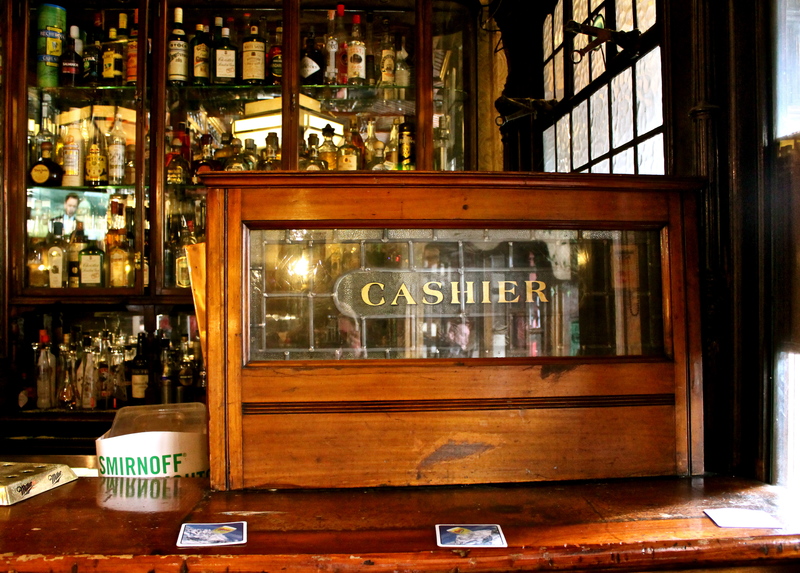 There’s a lovely old cashier’s desk sitting on the countertop, a wooden and glass casing with ‘cashier’ painted on the glass. The Coffee Bar gives way down a few steps to the Whiskey and Cocktail bar, a dimly-lit, raw brick, cellar-like space with a gorgeous brick archway and fireplace. 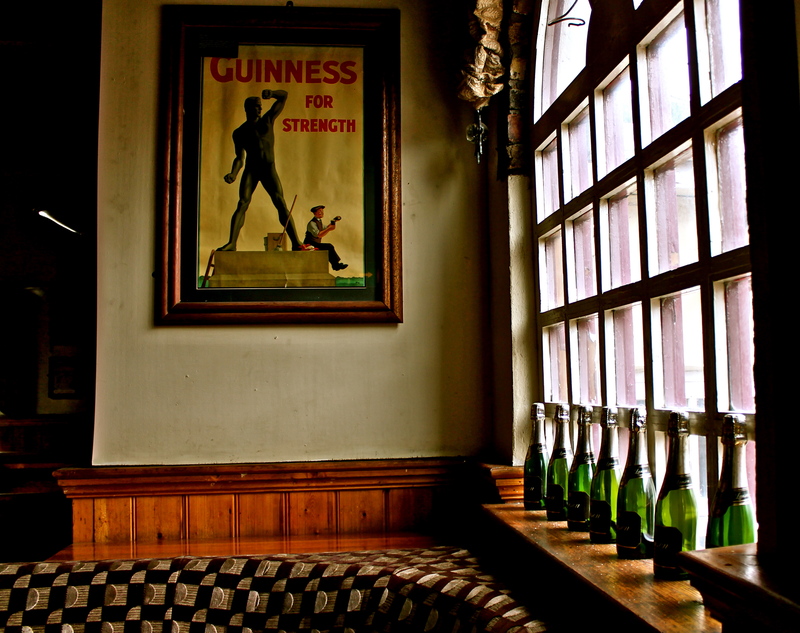 Vintage Guinness memorabilia is hanging everywhere – or to use the correct term (I learnt a new word): Guinntiques. 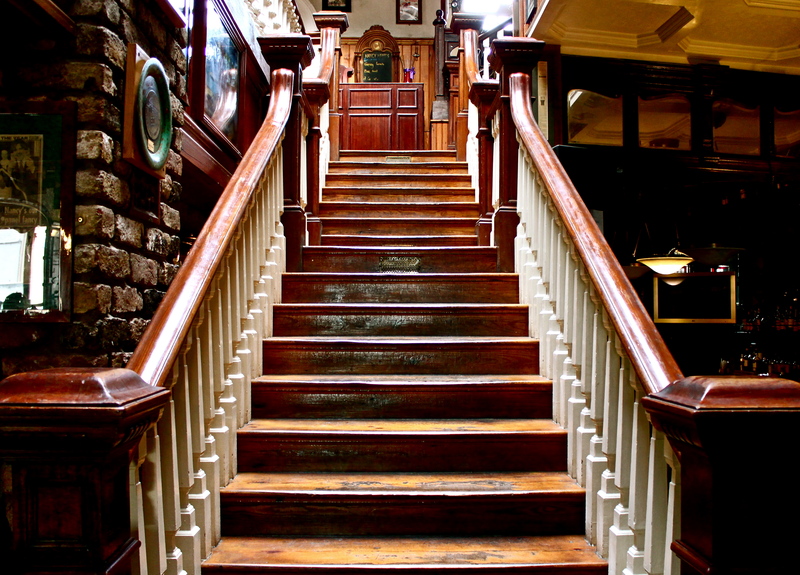 The staircase is most definitely worth a mention, it was once housed in Trinity College, believe it or not, and featured in the movie ‘Educating Rita’ with Mr Michael Caine. They’re some pretty impressive staircase credentials. 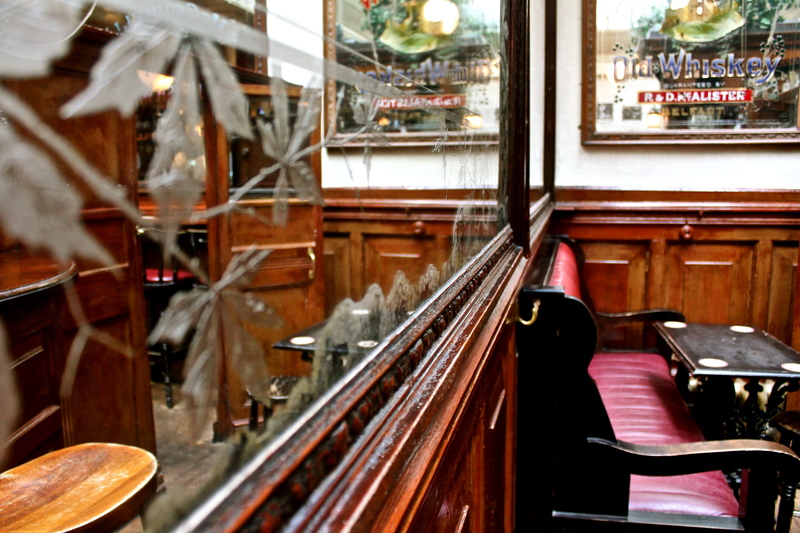 Upstairs – what can only be described as a galley-like Guinntiquesville – has less of an authentic Victorian feel than downstairs, more of a mixed-bag and definitely more modern, but that’s okay too. Bit too much wood/pine for my taste but it definitely has character, and in fairness it’s the dining area rather than the pub. 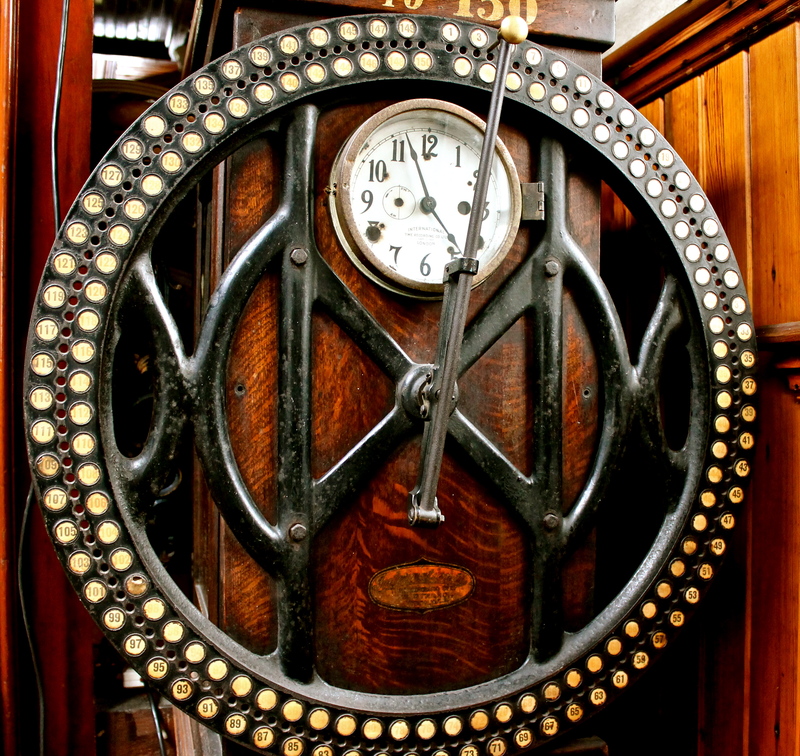 Lots of little gems to take it – the antique clocks and furniture, and a really jazzy archway I think looks like a 1950’s jukebox! Very warm, chatty staff and a nice crowd – locals, people working nearby and in the courts, tourists. 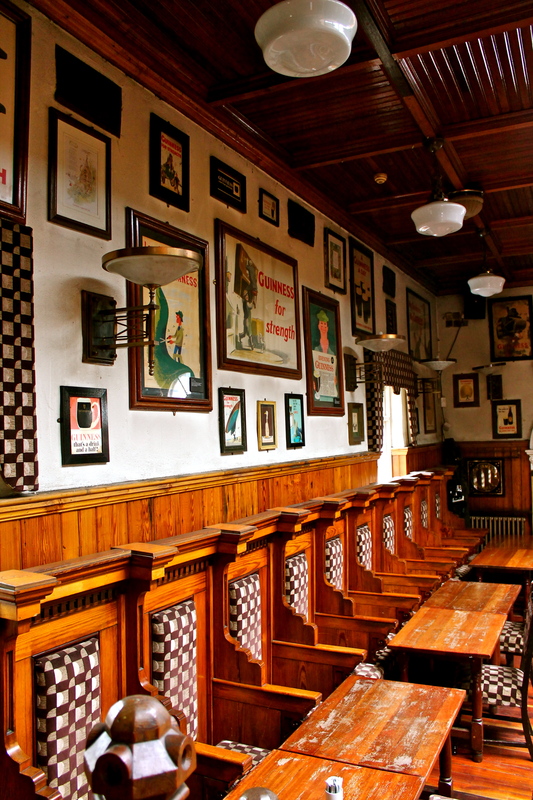 An absolute cracker of a pub, in fact I’d like to nominate Ryan’s as the museum of the Victorian Dublin Public House. A perfectly-preserved time capsule, you feel like you’ve just opened the door and stumbled into another era, back in time, just like Rodney does (okay Nicholas Lyndhurst, whatever his character’s name is, he shall forever be known to me as Rodney Trotter) in ‘Goodnight Sweetheart’ when he flits between his parallel lives in the past and present. 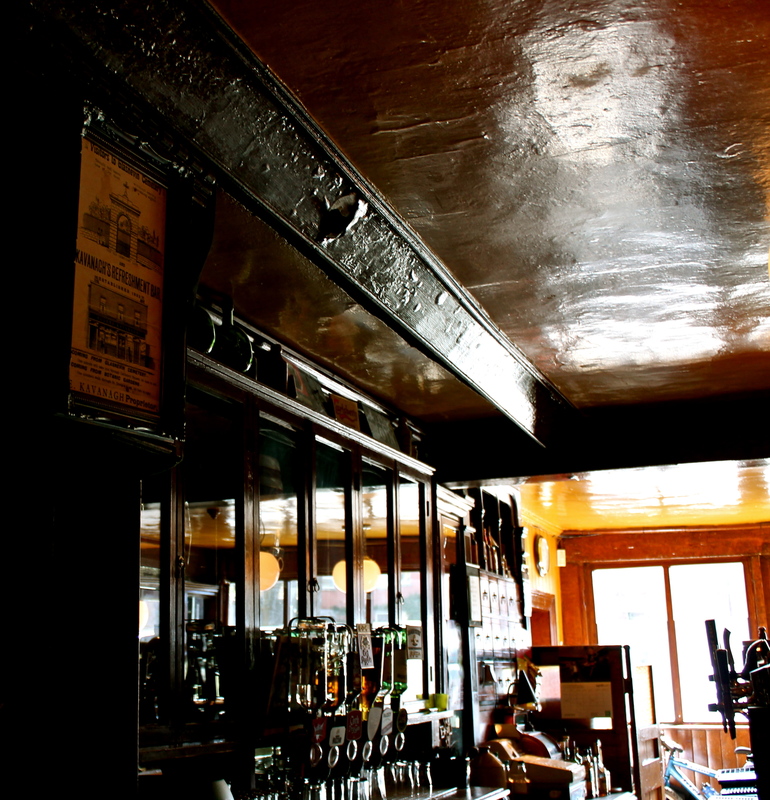 The bar and fittings are identical to how they were over 120 years ago when they were installed – the premises are a few hundred years older than that of course but the pub you see today was established in 1886. 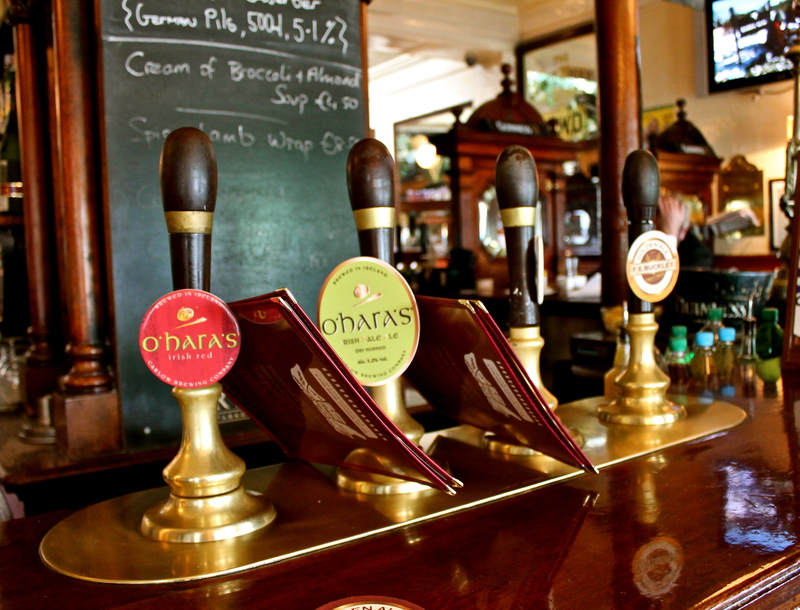 Close to the gates of the Phoenix Park and within walking distance of Kilmainham Gaol – tourists visiting Dublin listen up – trust me and swing by for a pint of a locally-sourced brew and to snap a few pics. This is the place you’re looking for. Top of da mornin’ gold dust. 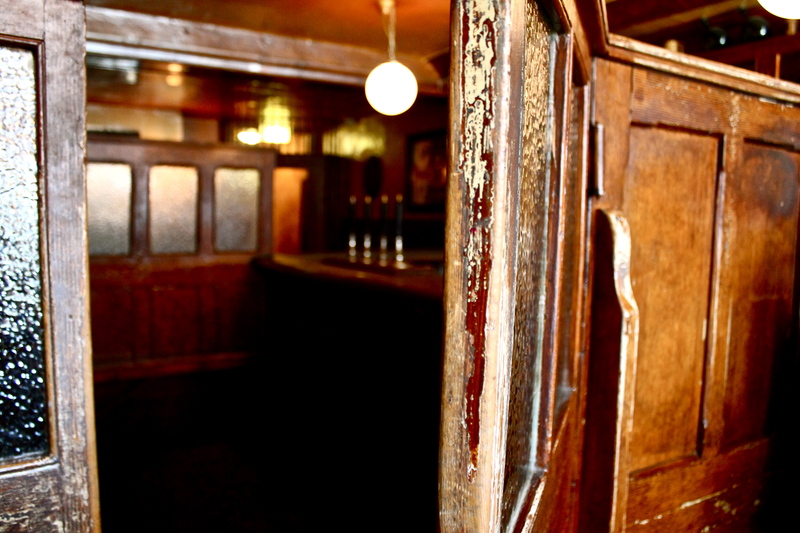 As you take your first steps into Dublin circa 1886, you’re struck by the stunning mahogany booth in the centre of the room, with a bar running the whole way around, merging with two snugs at the back of the pub, one on either side of the bar. 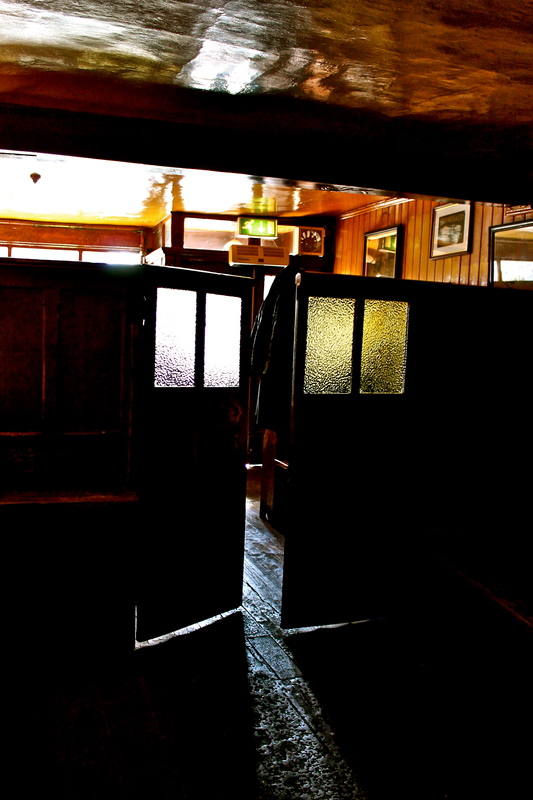 It reminds me of a small wooden model saloon my folks had hanging on the kitchen wall when I was growing up (no, that’s not what Irish people call art, sounds like a Family Guy joke…no I don’t know where they got it and it was perhaps a corkscrew holder?!) 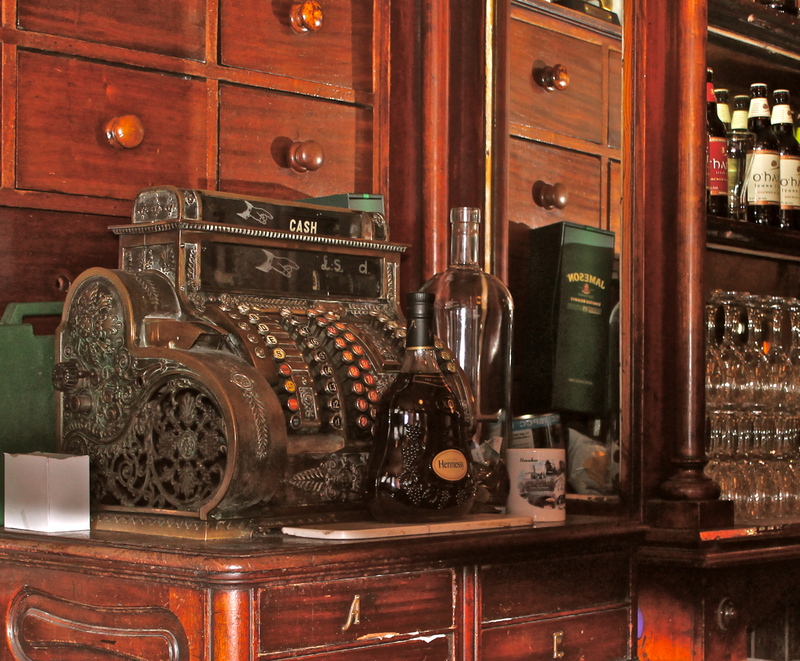 The artisanal casks (the barrels with the taps seen behind the bar) in the booth used to contain whiskey from Jameson & Powers distillery, diluted from rocket-fuel strength of 70% to 40% by the barmen (70&?! 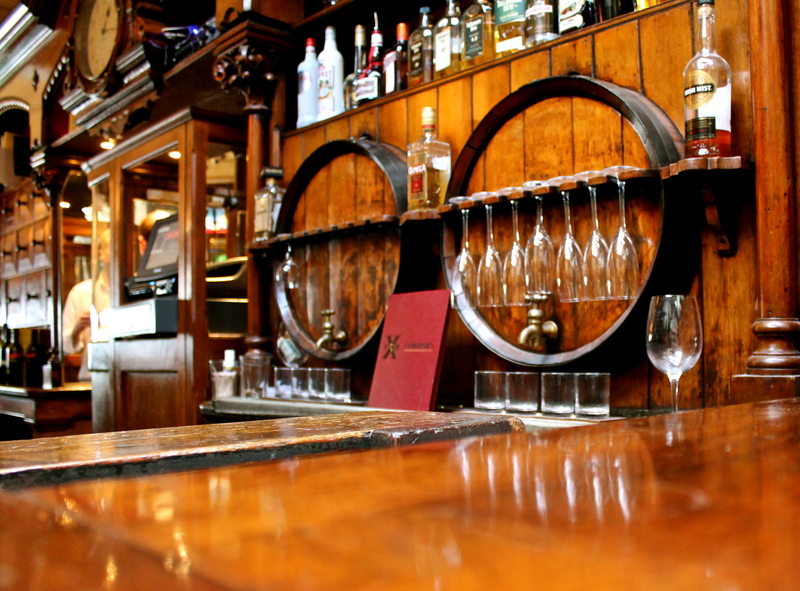 I’m sure they all tried it one night after hours…) The casks double up as wine glass holders, probably a functional, normal feature back then but such a nice touch, and I’ve never seen this anywhere else. 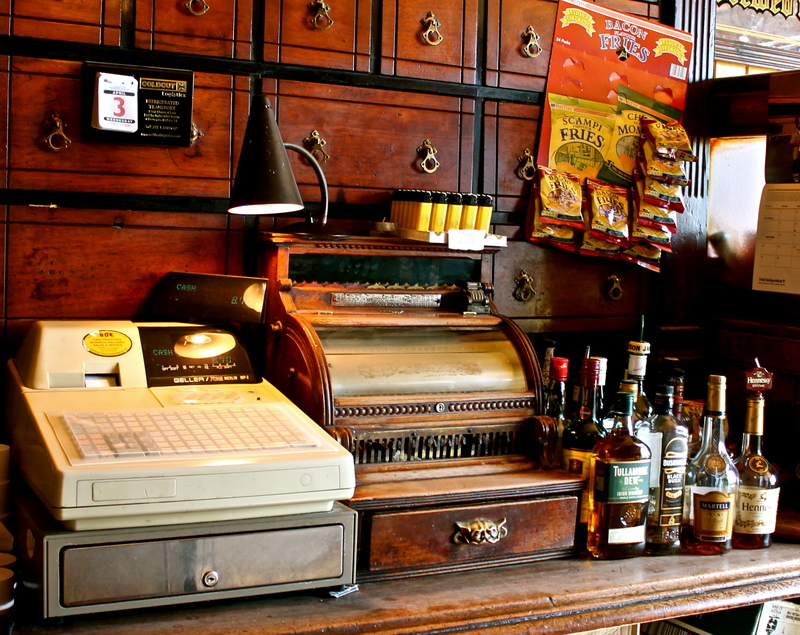 Like Kehoe’s (see previous post), Ryan’s still has the original mahogany drawers behind the bar that would’ve contained tobacco and tea once upon a time. Ryan’s has quite the collection of antique frosted and engraved mirrors, my favourite is the foliage/ivy pattern (pictured above) from one of the snugs. And can I add – holy hanging baskets! Huge hanging baskets hanging from a conservatory roof, that’s not something you see in very many (any) pubs. I’m not sure they were around in 1886…who cares, I’m impressed. 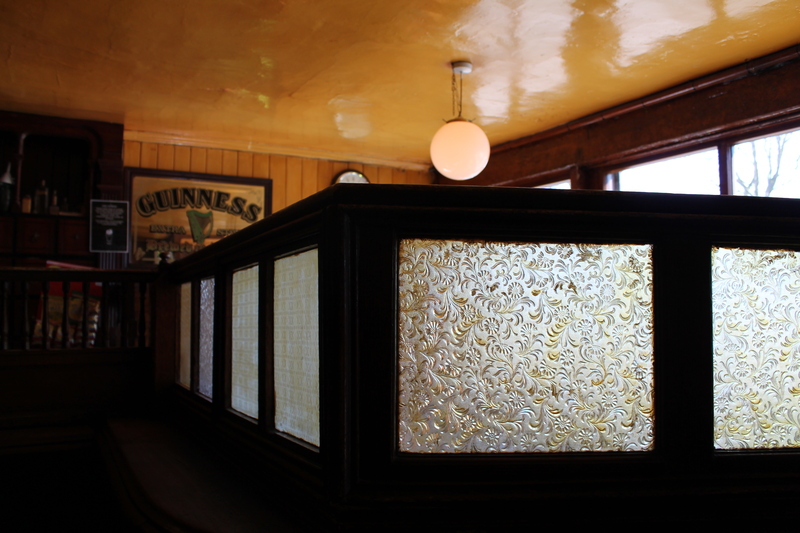 The lamps you see on the bar are the original gaslamps, long since converted to electricity but it doesn’t take away from them (they’re in amazing nick and play nicely into my 1886 fantasy) gorgeous antique ornaments. 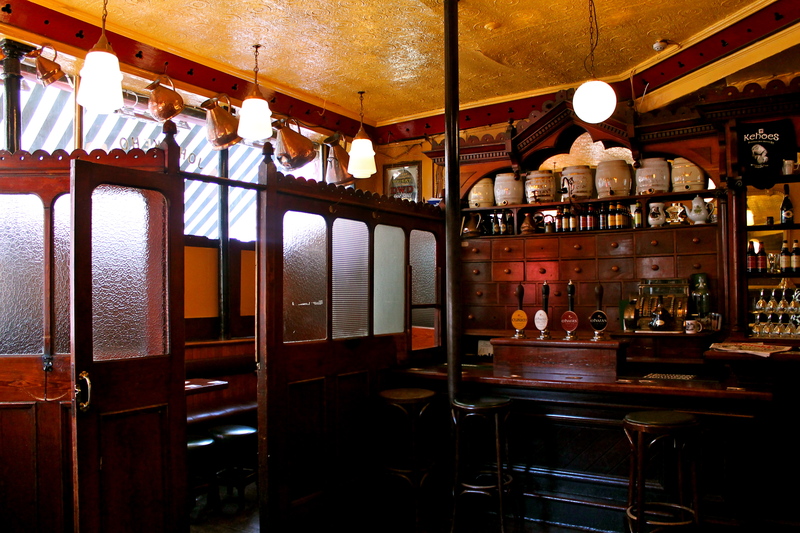 (They have the same gas lamps in Neary’s, later post). 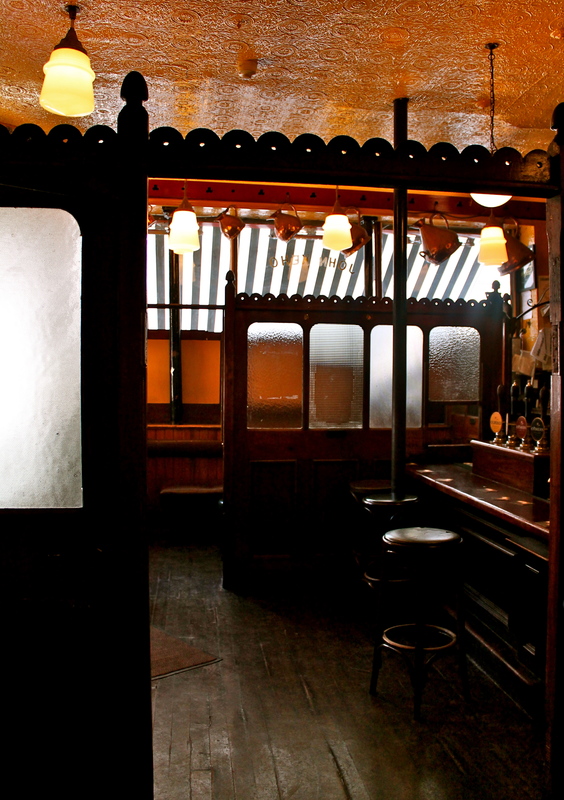 Go to ‘Dublin circa 1886’ on an average night and you’re bound to see a lot of loyal local heads around, and tourists snapping away, lapping up the quaintness and well, Irishness of it all. One of the capital’s finest establishments. 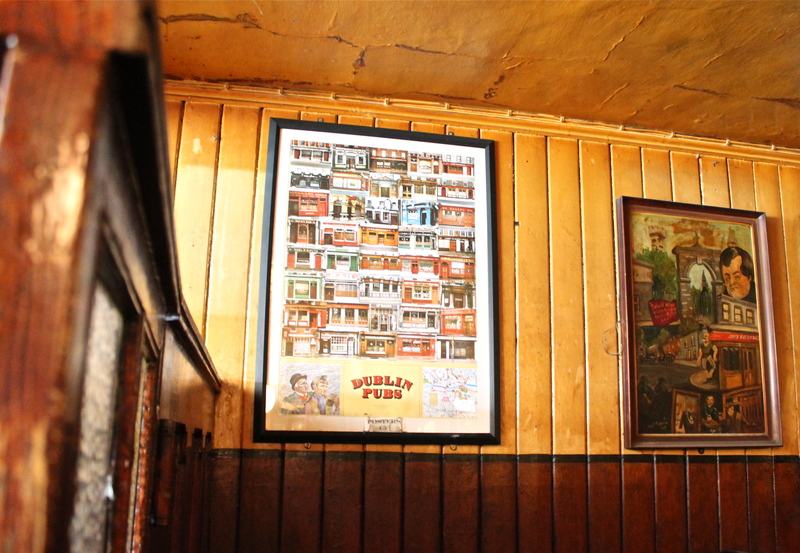 Full disclosure: it’s highly unlikely you’ll ever see Kehoe’s, one of Dublin’s busiest pubs, as still and silent as I’ve depicted it in these photos. 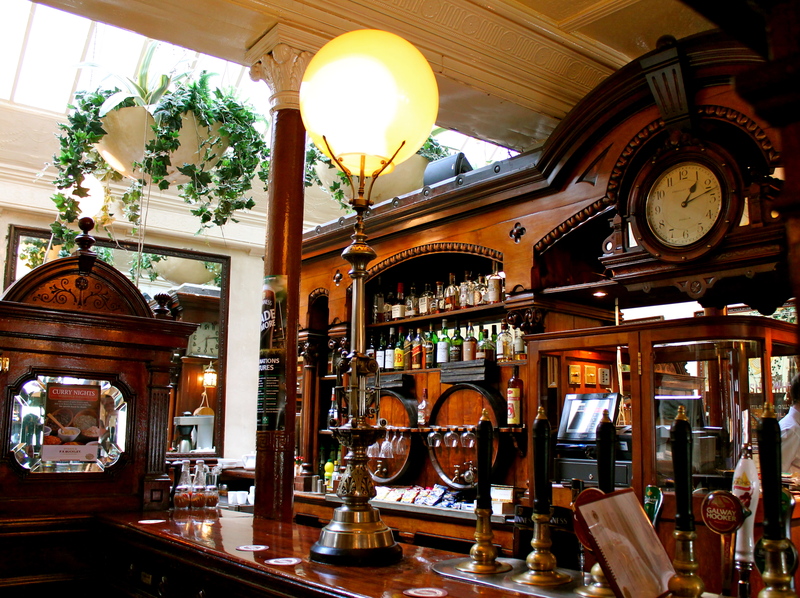 I had to slink into the city centre Victorian establishment early on a Monday afternoon, and even at that I was met by more than a few bodies at the far end of the main bar. 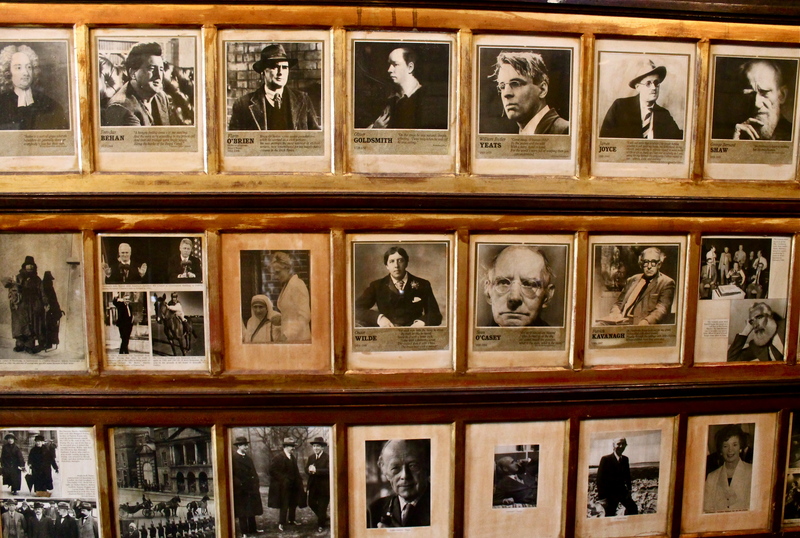 (Irish bodies, by the way, for any tourist wondering if this is an ‘authentic’ Irish pub – it’s the first question an Italian friend asks me before entering.) 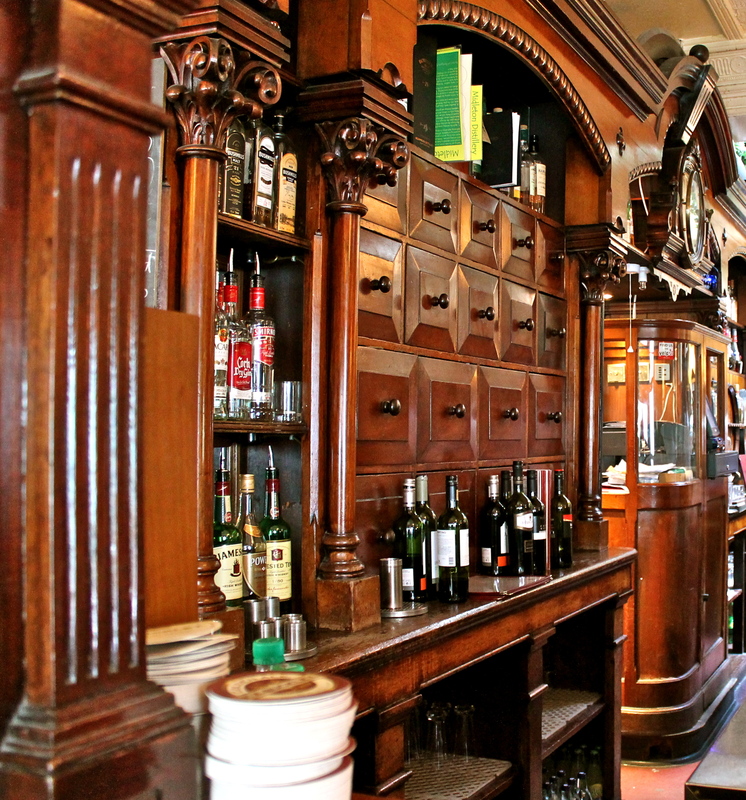 A stone’s throw from Grafton Street, John Kehoe’s is always packed to the rafters by early evening, mostly by an after-work crowd, mid-twenties upwards. 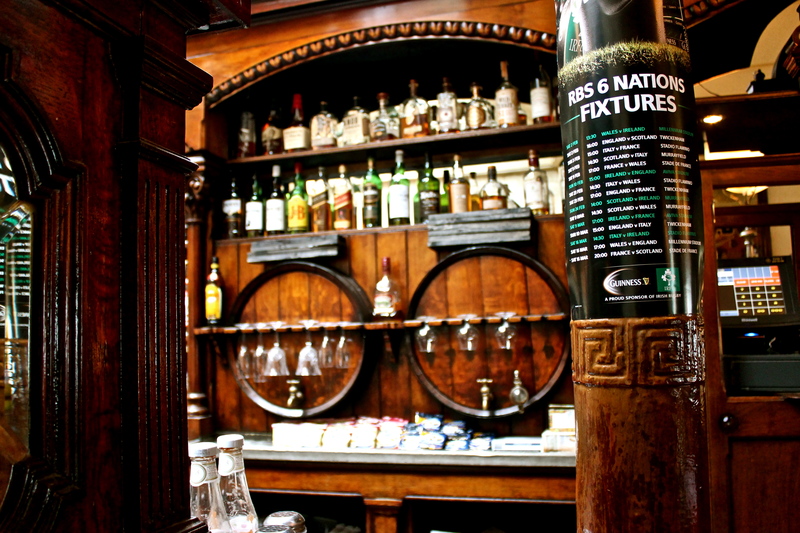 But as with any authentic Irish pub, there’s no one specific age bracket, dress-code – or other category into which the crowd fits. Young guys in suits or football jerseys rub elbows with ‘oulfellas’ in flat caps. 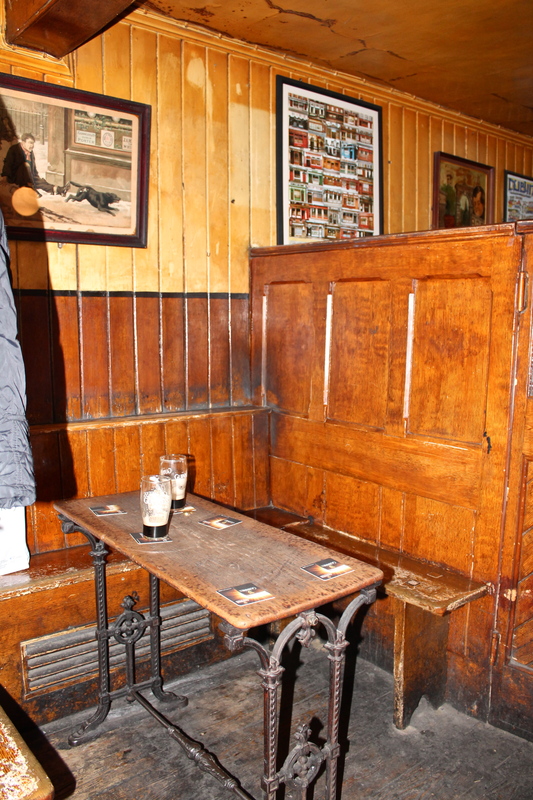 Tourists are warmly welcomed, and it’s most likely that any encounter with the Irish crowd will end up with arms thrown around shoulders and wider introductions prefixed with “my new friend here” around the pub.